Nobody can deny the beautiful effects of a good bronzer. A once matte, flat, monotonous skin surface can be transformed into a glowing complexion, with all the appearance of health and vigour and golden from within. 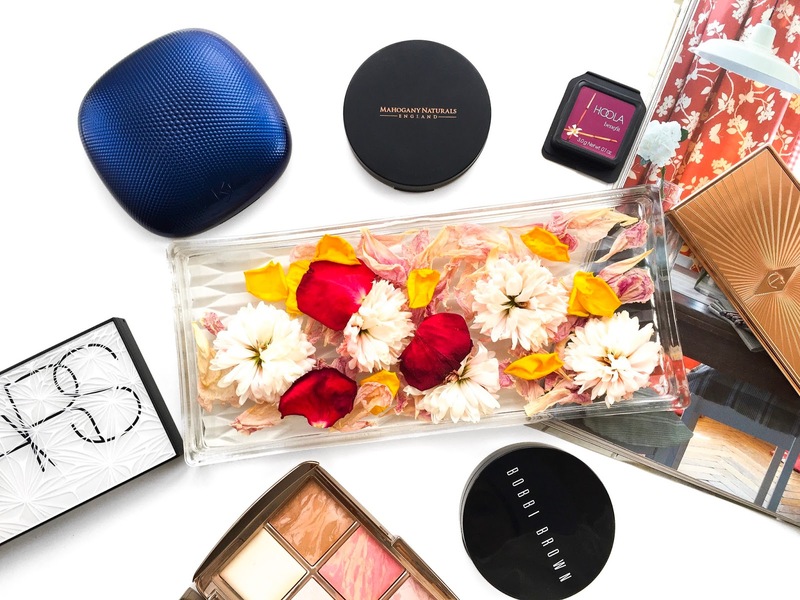 I most often use bronzers to add dimension back to my face after applying all of my base makeup. I actually prefer the look of bronzer added to certain parts of the face than a harsh contour powder because I think bronzers are more forgiving and applying them effectively doesn’t require a huge amount of talent. Sometimes a good bronzer is great for making my foundation match my face a little better. 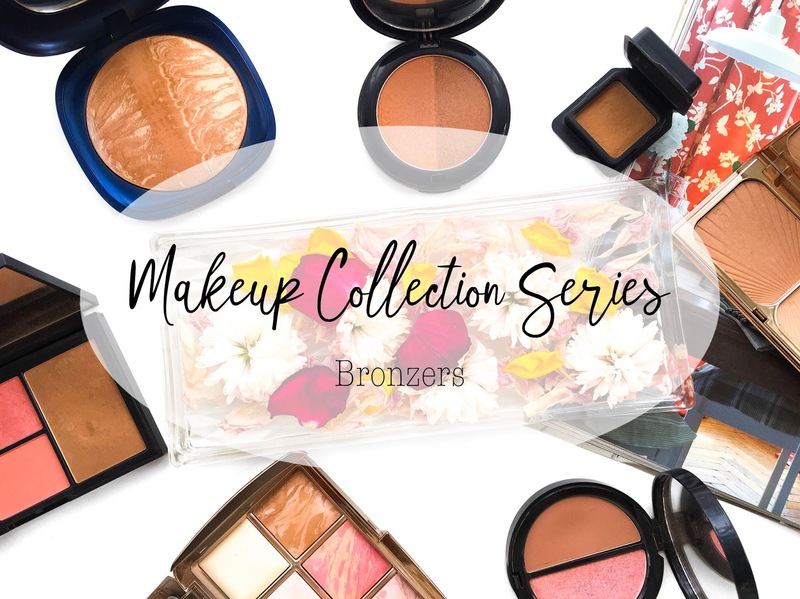 Quite often I also use bronzers as a crease shade on my eyes especially the matte ones as they are warm and brown toned so they work wonderfully to add dimension to the eye area and enhance them. 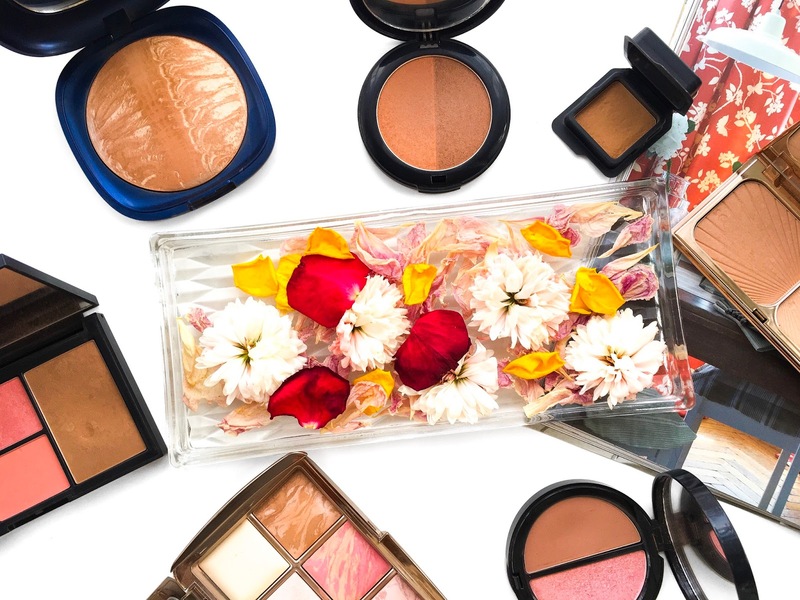 When it comes to finish I’m not too fussed as I find I reach for both matte bronzers and ones with a slightly more radiant finish too. For me, it comes down to the shade as I don’t like overly pigmented bronzers nor do I like muddy or pale ones. And also the formula because it has to be a nice formula to pick up easily on the brush, that is nice to work with when I sweep it across my face by not sticking to any one area and one that blends out well. I think my bronzer collection is quite small, only made more substantial thanks to a number of face palettes. This has a beautiful buttery formula that is so easy to work with. The shade is perfect as it’s only a giving my complexion a little depth without looking obvious in anyway. It is just such a lovely product to work with as it appears to melt into my skin making it a firm favourite. This has a similarly lovely formula that works just as well on the face as it does over the eyes. It’s got a lot more red to it and is darker than the Ciate. 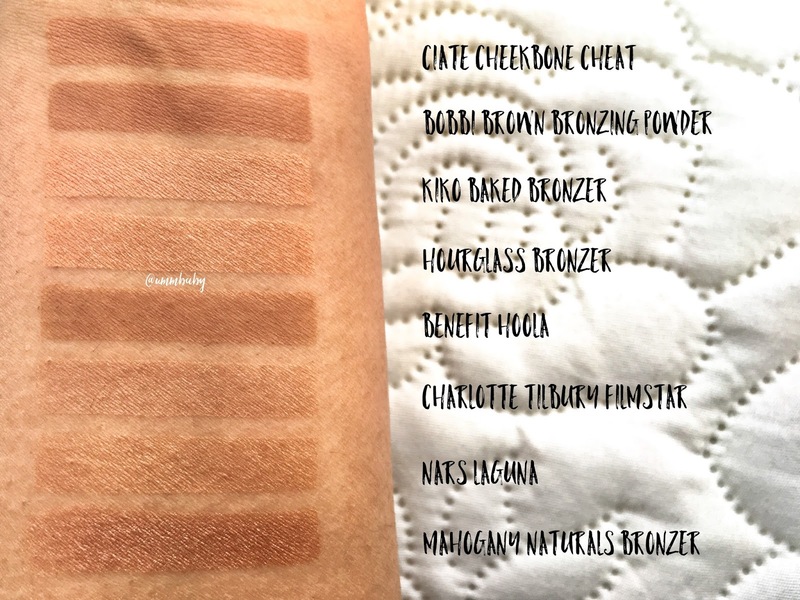 I really enjoy using this one when I want to warm up my complexion to the max as its the darkest bronzer I own and is about as dark as I could comfortably go. My most recent obsession, this light toned bronzer has the most subtle hint of a sheen about it. I love dusting this along the perimeters of my face to give it a glowing appearance that doesn’t look like it’s achieved by makeup. The effect is so pretty even though the shade is so light that I can't seem to stop using it. It also helps that it smells like vanilla cookies. This is more on the shimmery side of a sheen, and is a touch more golden bronze. Again, you wouldn't think it looks great on the skin but its so pretty and natural-looking with an irresistible radiance. This also makes for a beautiful bronze wash of shimmer on the eyes. I got gifted this mini as part of a set a couple of years ago. I like the shade but would’ve preferred it more if it has a touch more warmth about it. It’s quite powdery and I find it sometimes concentrates on the place where I place my brush. It might be because this is such a small pan because I know this is very popular. I love the formula. I love the finish. I love how I can get quite a subtle sculpted look with this. I just wish it was darker. I can still get away with it as I don’t like anything too dark anyway but it could still be a few shades darker and would easily be one of my favourites. Some days this works for me. Some days it doesn’t show up very well on me. To add insult to injury, this very quickly developed that weird tough film on top so I have to really dig in with my brush. If this wasn’t part of this palette, I would’ve gotten rid of it already. I started off loving this because it is a beautiful deep bronze shade and gives such a radiant sheen to the skin. I used it for days and days on end. And then this too got that tough layer on top which is such a shame as I loved using it. But I don't like the experience of having to gouge the bronzer with a brush to use it.